I hope the summer has been treating you well. Here's my latest news. 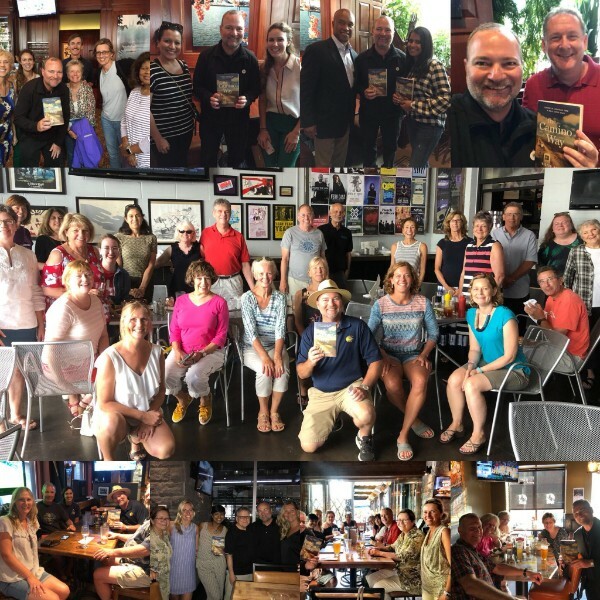 In July, the book tour for my latest book, The Camino Way: Lessons in Leadership from a Walk Across Spain (HarperCollins, 2017), stopped in Detroit/Ann Arbor MI, Toronto ON, Ottawa, ON, Minneapolis MN, and Washington DC (see photos above.) We are planning more stops in the coming months. 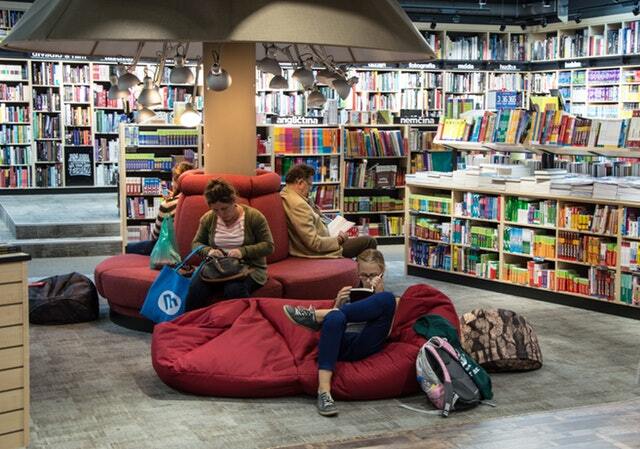 You can see photos and news from all of our past and planned book events here. To mark the August 21 official release date of the Spanish-language version of The Camino Way by HarperCollins, we launched a new Facebook page for that Spanish version. (That page attracted over 1,000 followers with its first post.) I will be posting videos of me speaking in Spanish while I am walking on the Camino again later this month. Here are links where you can follow me on this latest Camino walk on Facebook in English and Spanish. 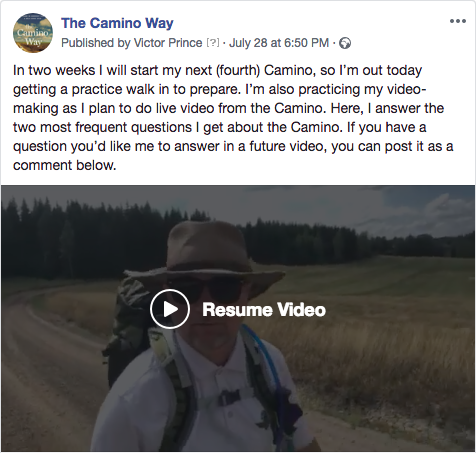 As I prepare for my next Camino, I have posted a couple new videos in English on the Facebook page to answer the most frequently answered questions I get about walking the Camino. You can see the new videos on Facebook here and here. 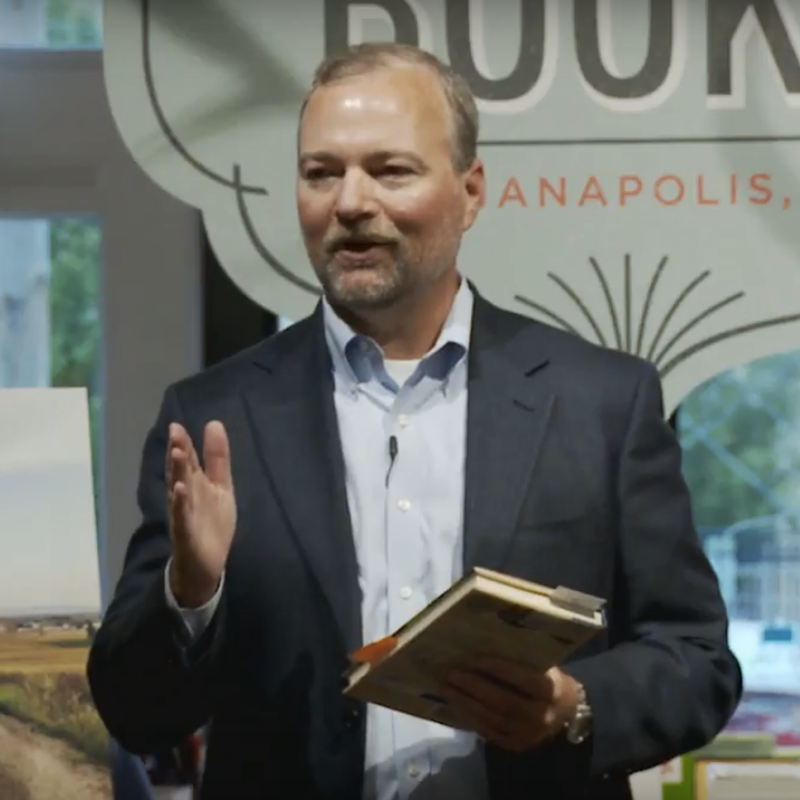 We were thrilled to learn last month that our publisher, HarperCollins, signed a contract with a Chinese publisher who will translate The Camino Way into the Chinese-language for that market. 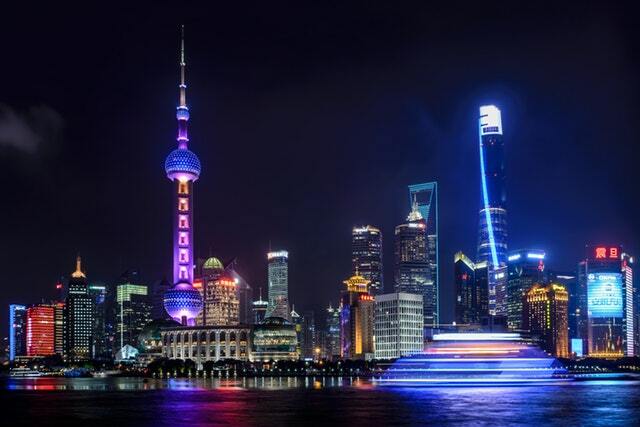 That Chinese version will join existing and upcoming versions in English, Spanish, and Korean, representing a potential audience of 1.8 billion native speakers. The Camino Way is carried in Barnes & Noble bookstores across the United States. If you would like to see if your local B&N branch has a copy in stock on their shelves, you can see the list at this Google map. Random New Tech Tip - Finally, when I find a useful new app or website, I share them in this newsletter. My best find this past month was a feature in Google Maps I did not realize was there. If you are looking at a Google map on your phone, you can click on the three little bars at the top left of the screen to get to a menu. If you choose, the Offline Maps option, you can download that map in full detail to your phone. 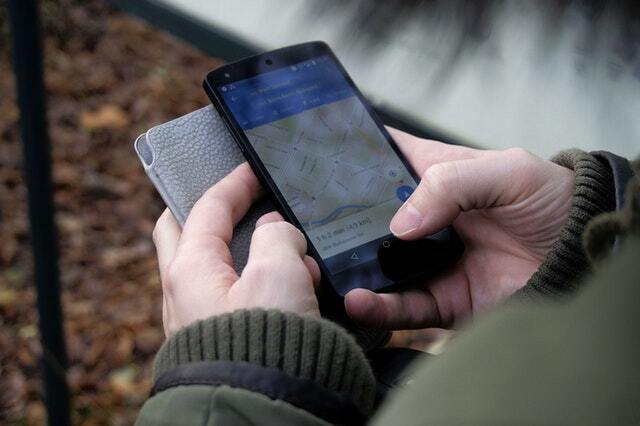 This is very useful if you want to use that map when you might not have access to the internet (e.g., while hiking a trail, while traveling overseas). If you have a great new tech find, I'd love to hear about it.